One night in Bangkok.....: Find your passion! This little guy knows what he likes! 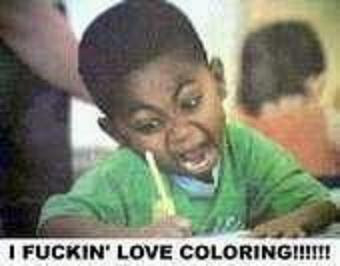 Nothing fires you up like a box of Crayolas and an endless supply of blank paper. 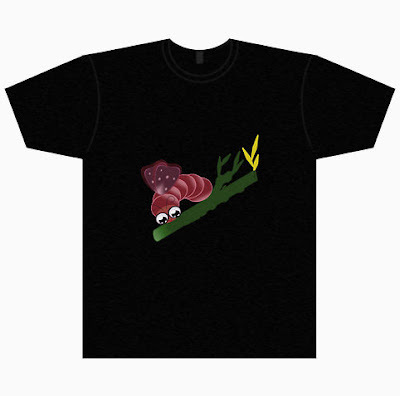 This is one of Roong's t-shirt designs, I think it's called "Lovely Caterpillar". Watching her learn how to create what she is imagining has been an amazing experience. She couldn't draw a stick figure a few months ago, and now she is having her work featured in many of the groups on Redbubble. She seems to be doing mostly t-shirts and greeting cards now. I am very proud of her and her accomplishments. Please giver her designs a look on Rainy's Bubble.